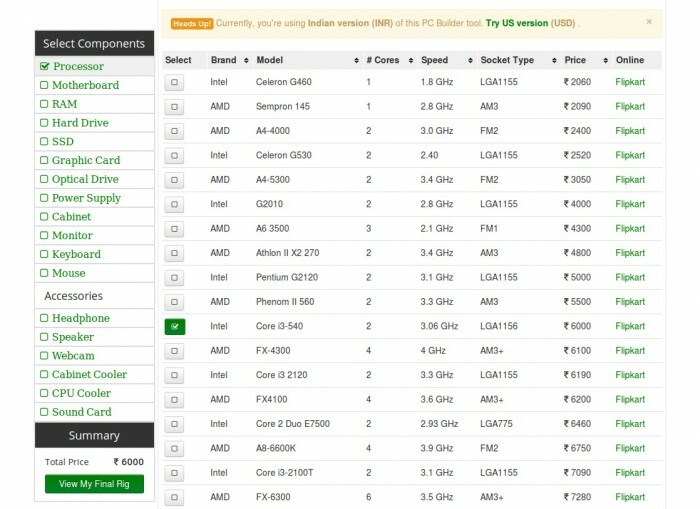 AssembleYourPC is my side project, I started last year (March 2013) when I couldn’t find any PC builder tool for Indian users. 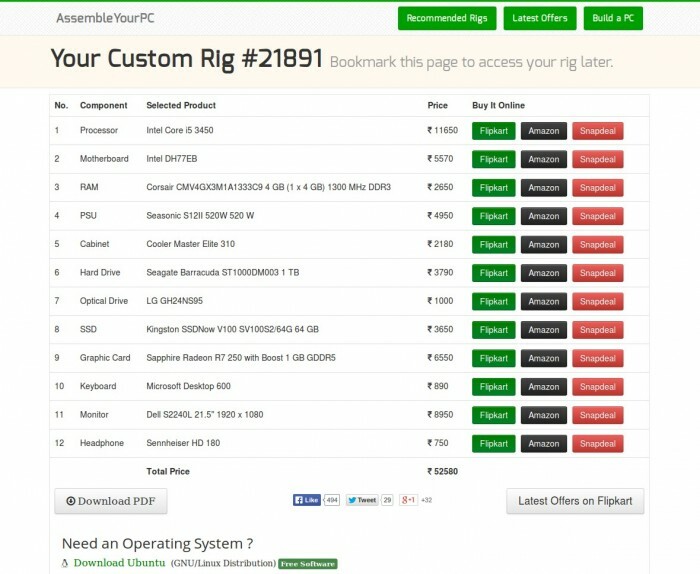 It’s a simple tool and you may find it useful while building a custom rig. 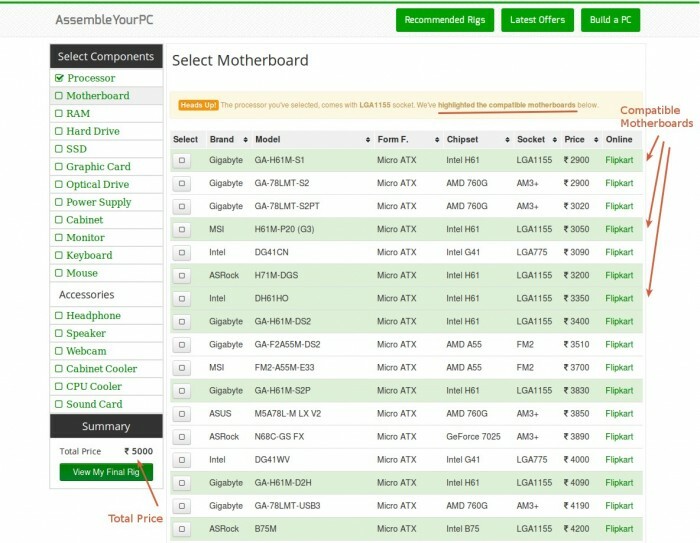 The component prices are fetched from various sites (online) but it’s quite closer to the actual market price. For now, it checks for socket compatibility between processor and motherboard, I’m planning to add compatibility options for other components (Cabinet, Power Supply etc) as well. Users can either buy parts online (Flipkart, Amazon or Snapdeal) or download & print the pdf to buy it offline.